During my youth in Mexico, I had little information about Cambodia. Its culture, so different, distant and exotic, aroused my curiosity. But I did not understand well the bloody conflict they were enduring. In 2007 I had the opportunity to exhibit in Hanoi. I was invited by the Emilie Huard Center de Langue in Laos CCCL to give engraving classes at the Faculty of Fine Arts of Vientiane and Luang Prabang. 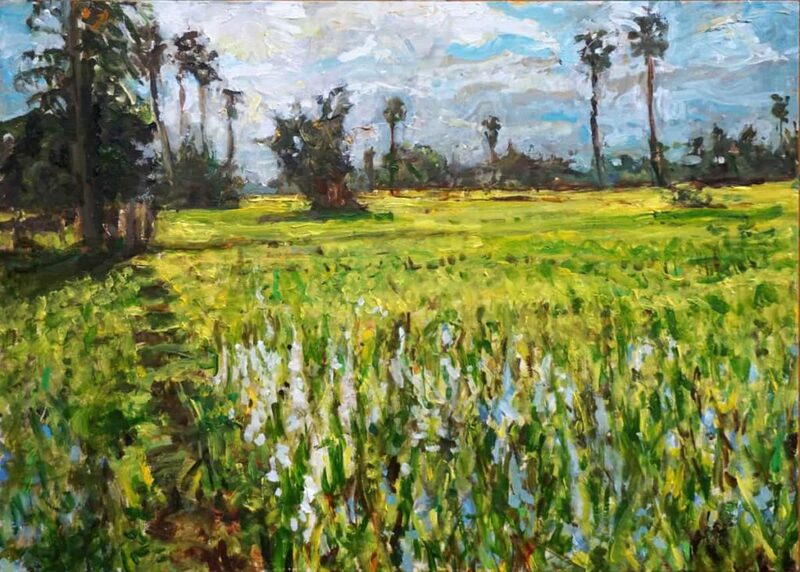 From there I travelled alone throughout Laos, Thailand, Vietnam, Myanmar and Cambodia, painting daily in every place at any time. Drawing and painting were my means to interact when language could not allow it… It was amazing. The people protected me, gave me their friendship and affection in a trip so rich in positive experiences. Cambodia is a country that seems to float on water. The immense lake The Tonlé Sap is at the same time a river that because of the monsoons, it shrinks and expands 400 km to the interior of the country, giving life and food to millions of people. The monsoon combined with the flow of the Mekong River brings its waters into the centre of the city of Phnom Penh. Cambodia always looks to the glory of its past, when there flourished one of the most refined cultures of humanity. The unique and refined art and architecture of the Khmer is patent in the vestiges of Angkor, capital of the Khmer empire, today attracting millions of tourists. Cambodia is also a country with a wounded soul. It is impossible to describe in these few paragraphs the recent history of Cambodia. It became independent without violence in 1953, so its neutral policy made it a place for refuge at the beginning of the Vietnam War. In 1970, during the Cold War, it succumbed to a bloody civil war fueled by the interests of greater powers. With the victory of the Khmer Rouge in 1975, one of the worst genocides of the twentieth century was initiated. The regime expelled urban inhabitants to leave their cities and forced them to settle in rural areas. It instituted forced labour, forbade money, religion, freedom of movement and family intimacy. It abolished schools and a public health system, famines and diseases decimated the population. Whoever had higher education was prone to be annihilated. When, in 1979, Vietnam invaded Cambodia, the magnitude of the tragedy was patent: between 90% and 95% of the national teachers, doctors, artists, engineers, lawyers, had died. The tragedy was impossible to quantify and the war prolonged the suffering of a country already in ruins until 1993, when peace agreements were signed. Today, Cambodia has serious educational deficiencies; the misery contrasts with the scandalous wealth of its elite. However, there is international help and investment as well as new energy thanks to its young people, who make up 75% of the population. What has happened to civil society? While Cambodia appears happy at first glance, the consequences of this tragedy are still alive and lying in the bosom of its society. The Cambodian tragedy can be repeated anywhere. It can happen in Mexico, or in your country… When there is a lack of information, empathy and solidarity of the global civil society is important. The solidarity between ordinary citizens together with a desire to collaborate has helped to rebuild the social fabric through the arts. This is the motor of the tequio “the good impression”, a group created by Mexican artists living in Oaxaca, who financed by their own means an engraving workshop which was donated to the Royal University of Fine Arts. This workshop provided the means to start working on this project since 2011. Following the commercial route of the Spanish galleons, which on their way to Europe enriched the arts of Mexico for 300 years today, the raw materials travel through Manila, Hong Kong, Ho Chi Minh and finally arrived into Phnom Penh with the support of Rector Dr Bong Sovath, So Chenda, Director of the faculty. 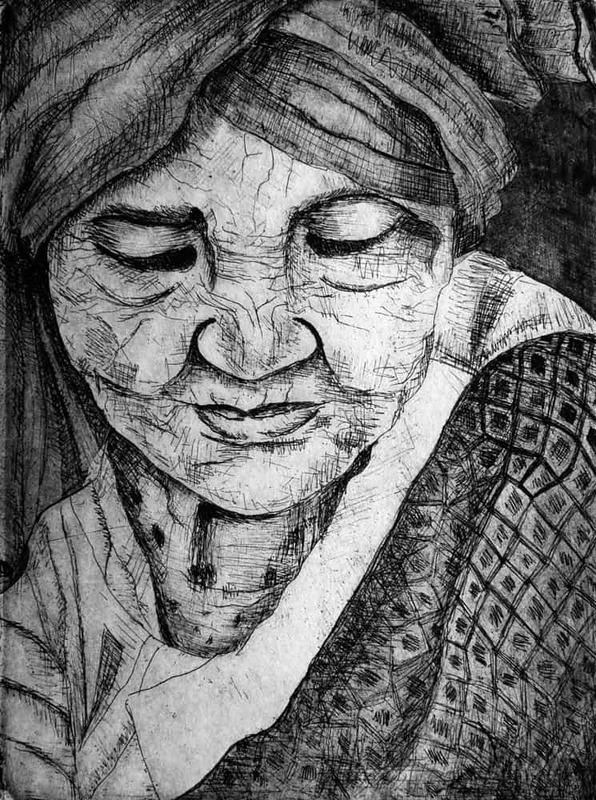 Under the direction of Chan Vitharin, the Workshop Char (drypoint, in Khmer language) was created and has been working up to this date. Here, technicians are trained in an artistic discipline that to our surprise did not exist in Cambodia. The genocide had stopped the development of arts in many aspects of their culture, including the possibility of graphic practice to be part of their rich artistic Cambodian heritage. 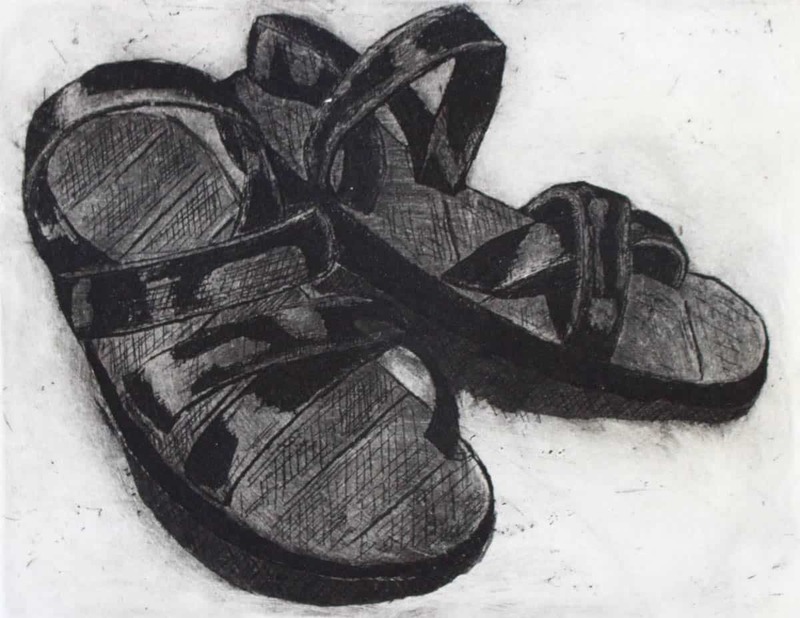 Graphic arts, especially printmaking, is a fundamental part of any professional art teaching program around the globe and offers a wide scope for creative local expression. 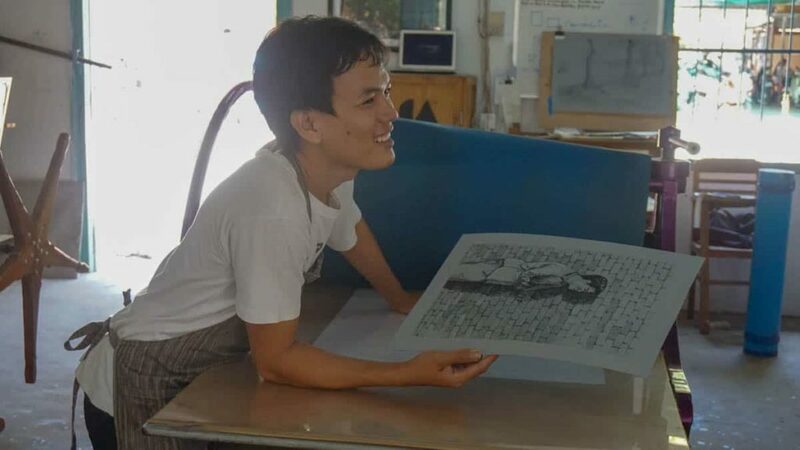 It also provides a sustainable option for Cambodian artists and printers into an emerging art market where there is a large influx of tourists due to low production costs. In the last seven years, 25 specialised courses have been given voluntarily by renowned artists and printers from Mexico, Cambodia, the United States, Great Britain and Australia. As a result, 70 students and teachers have been certified as professional printers. Graduates of Char-RUFA such as Vollak Kong, Neak Sophal and Prom Putvisal have exhibited internationally and have been honoured for their work. The Char workshop has had nine exhibitions in the past seven years and has been featured in fifteen articles published about the project in Cambodia and abroad. 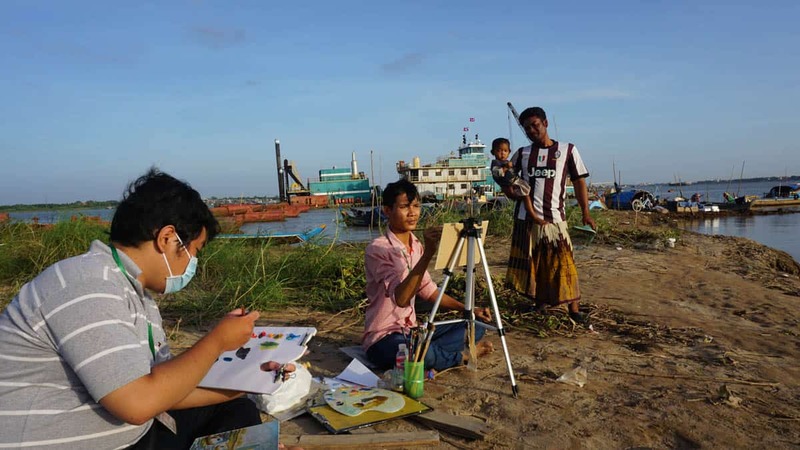 This collaboration has also helped three Cambodian artists to obtain residencies in specialised studies and exhibits in Mexican museums with funds from the Mexican Agency for International Development Cooperation (AMEXCID) of the Ministry of Foreign Affairs. Chan Vitharin co-founder and professor at Char-RUFA was the first Cambodian expert to teach the history of the Cambodian artistic heritage in Mexico. 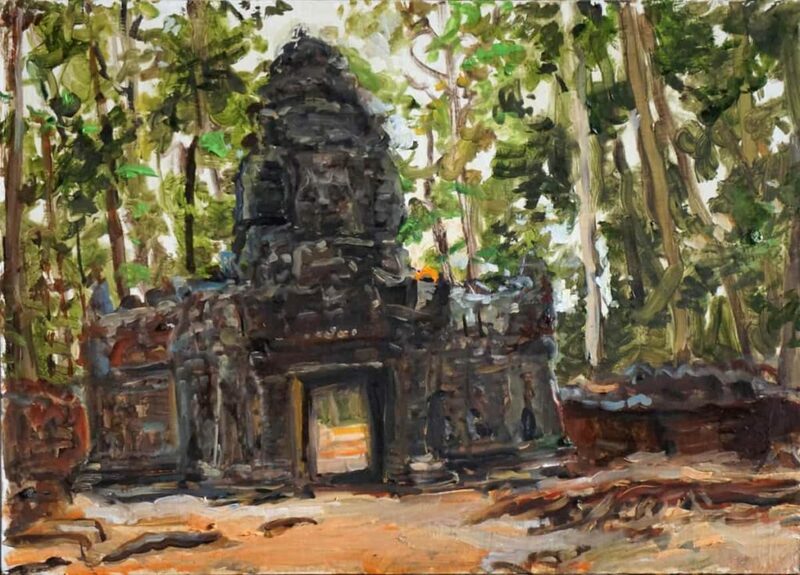 Char-RUFA also works to recover artistic techniques that were lost during the genocide and civil wars that devastated Cambodia 30 years ago, such as al fresco painting and lithography. Char-RUFA is the first graphic arts workshop in the history of Cambodia, and would not have been possible without the commitment of Cambodian teachers and students, who worked voluntarily, not only transform the workshop into a degree course at the Faculty of Visual Arts in the University, but also to turn it into an example of collaboration and creativity in the national artistic scene. The workshop breathes creativity. It is located at the faculty of arts in the heart of Phnom Penh, just behind the national museum, in a one-story building dating from 1920 where visitors are always welcome. In Oaxaca, the landscape of mountains and valleys is infinite. The layout of its capital is more than 400 years old. The city was built using stone from the local quarry, which in contact with water turns the streets into a jade colour palette. The intensity of the light that crosses the clouds and its indigenous heritage make it a unique landscape. Oaxaca is today an international centre for contemporary graphics. A phenomenon that is due to the Rufino Tamayo workshop, founded by Roberto Doniz in 1974 with the support of Rufino Tamayo and Francisco Toledo. Since its origins, the workshop housed young people from the ethnic groups of the region, into learning engraving. When these students matured into artists, they created the Oaxacan school of painting. The people of Oaxaca tend to favour their own community and education is regularly shared. Today, after 40 years of continuity, there are more than 40 professional productive workshops that attract artists, printers and collectors from all over the world. 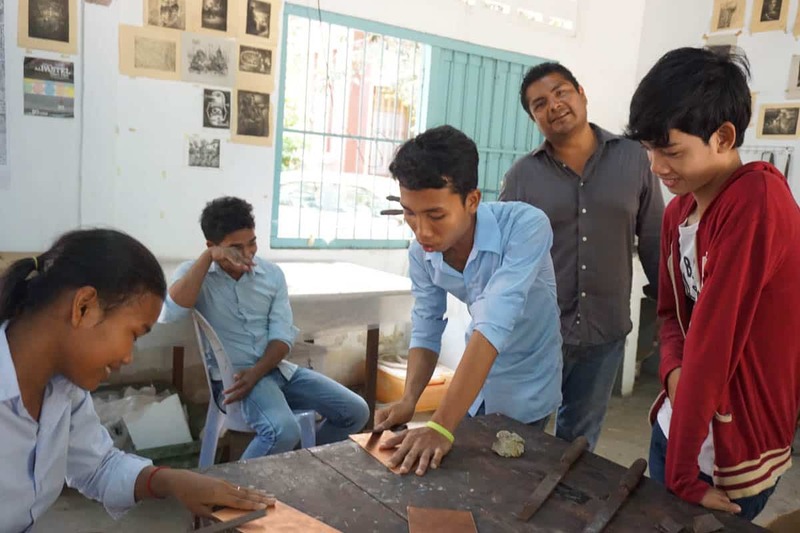 The experience of the Char-RUFA Workshop in Cambodia and the example of the Rufino Tamayo Workshop impelled us to support today our own community. 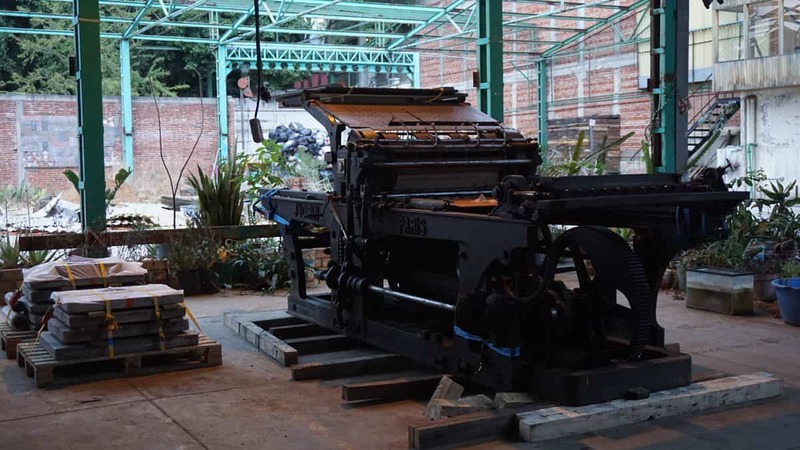 Julie Gerbaud and Patrick Devereux, former professor of lithography at the Ecole Nationale des Beaux-Arts in Paris, donated an enormous press named Voirin, built in 1909. This six-ton electric machine, almost five meters long, is highly coveted among the large houses of European edition. Most of the great artists of the twentieth century used them and there are around 20 working in the world. 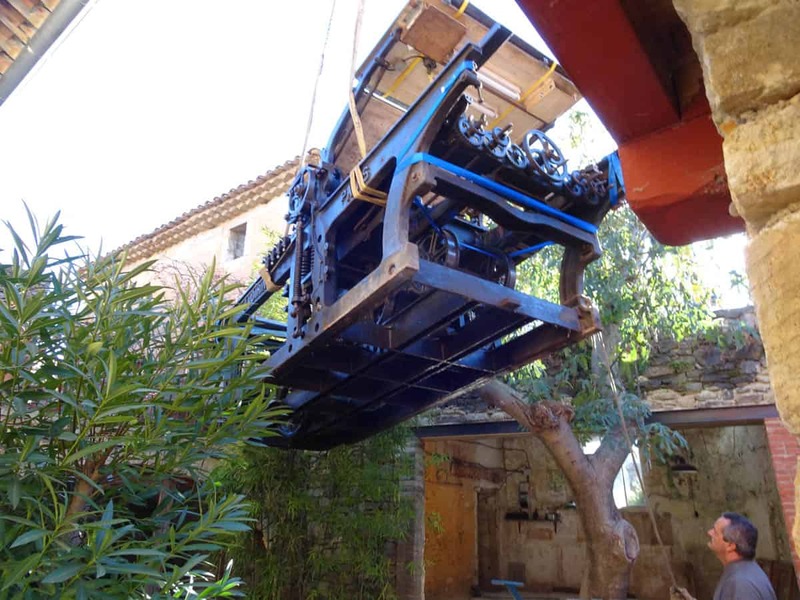 Thanks to her generosity and that of the foundation Salon de Mai, we were able to transport it from the village of St Christol de Rodiéres in the south of France to Oaxaca. There we founded workshop The Good Printing, a high-level school with the goal of expanding the graphic arts into the interior of the state of Oaxaca. The strategy is to train young people from the Rufino Tamayo workshop and other institutions in areas like painting, drawing, art history and printmaking so that they, in turn, experience their teaching in other communities. The workshop will select the best students whom will receive a residency to perfect themselves and live with established artists and printers. 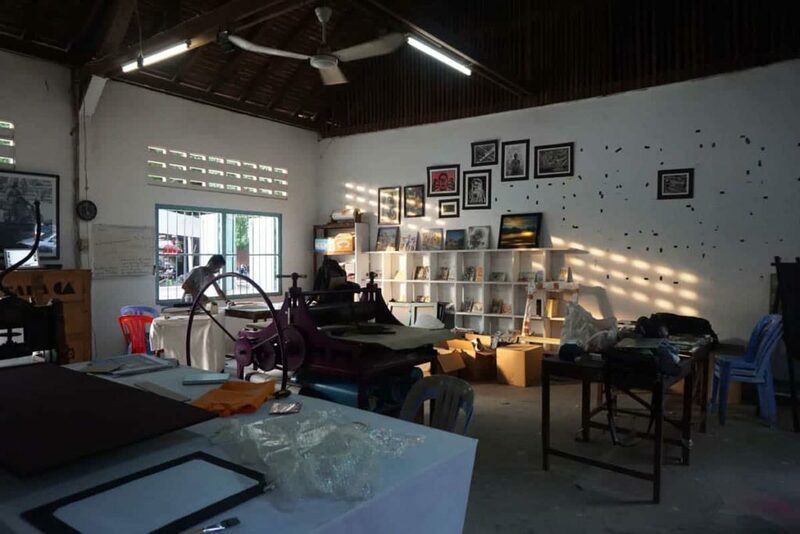 The space, located in the central district of Jalatlaco, is a meeting point in the local community which enhances dialogue between printers and artists from around the world. In Mexico, tequio is known as the task or collective work that every neighbour of a town owes to its own community. It is a pre-Hispanic custom that with different nuances continues to be rooted in several areas of this country. Born in Mexico City in 1969, Fernando Aceves Humana studied Visual Arts at the Autonomous University of Mexico (UNAM) in Mexico City. He specialized in metal etching at the School of Fine Arts in Rome, Italy. 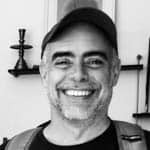 Fernando has won numerous awards and mentions, he won the FONCA Young Creators scholarship in 1995, 1998, the UNESCO-Aschberg Artistic Residency selected him 1995 to reside in Senegal. 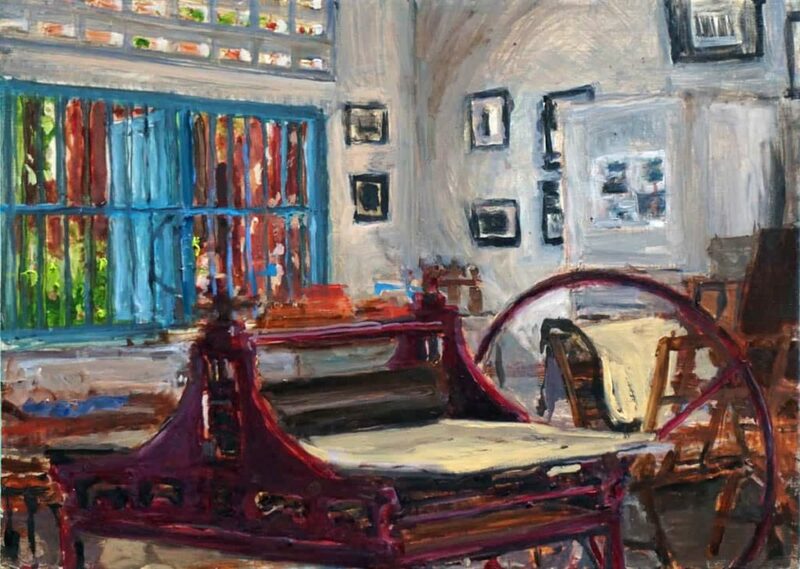 He was awarded the scholarship of artistic excellence of the Government of France in 2002 where he resided in Paris, at the Cité Internationale des Arts. He has been a member of the National System of Creators of the National Fund for Culture and the Arts (FONCA) in 2007, 2012 and 2016. 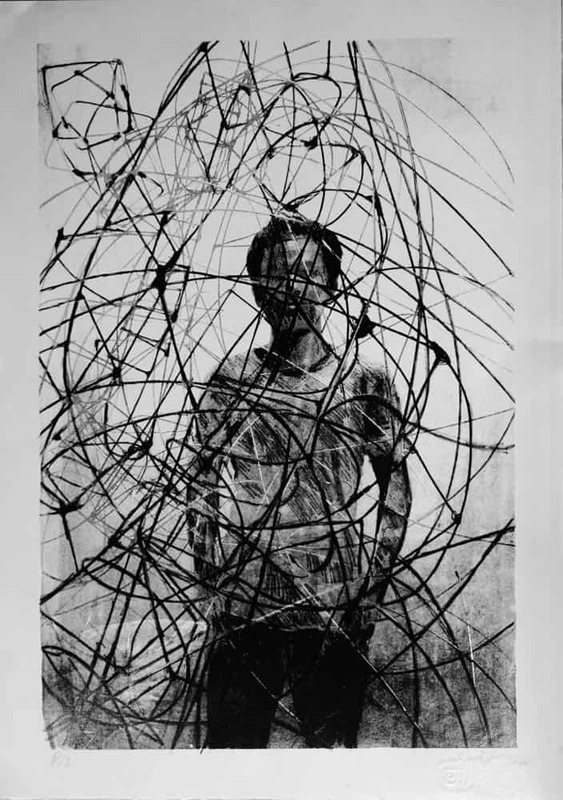 His career includes numerous exhibitions in Mexico and has made solo shows in Senegal, Switzerland, Italy, Spain, France, England, Vietnam, Thailand and Germany. In 2007 he collaborated in the creation of the first metal engraving workshops in Laos. In 2011 he was co-founder of the artists collective Tequio La buena impresión set up among Francisco Castro Leñero, Doctor Lakra, Iraís Esparza, Lydia Parusol, Nicolás Guzmán, Carla Rippey, Daniel Barraza, Franco Aceves, Javier Areán, Saúl Villa, Carlos Pez, Daniel Flores, Jonatan Velázquez, Maribel González and Francesco Siqueiros who donated the printing press and the material for the foundation of the Char-RUFA printmaking Studio at the Royal University of Fine Arts, Phnom Penh, the first etching workshop in the history of the Kingdom of Cambodia, where they reinserted the techniques of lithography and fresco, techniques, lost because of the genocide and the civil wars that devastated the country between 1975 and 1994. In 2013, he coordinated the installation of the printmaking studio of the Toot Yung Cultural Center in Bangkok, Thailand. It also promotes the creation of global exchange networks between private workshops and educational institutions in the field of graphic arts. Fernando lives, works and teaches in the city of Oaxaca, Mexico.